Mailchimp for Salesforce Marketing automation for your Salesforce sales teams and Mailchimp marketing staff delivered. Let's face it sometimes the APIs of different software apps go down so you might not have your marketing Lists populated in time or you need to true up your CRM to your Marketing Automation solution. If all of your data needs to be re-synced, at any time, please click on the "Reset Sync Process" button and during the next sync process all your data between your software applications will sync. YES! 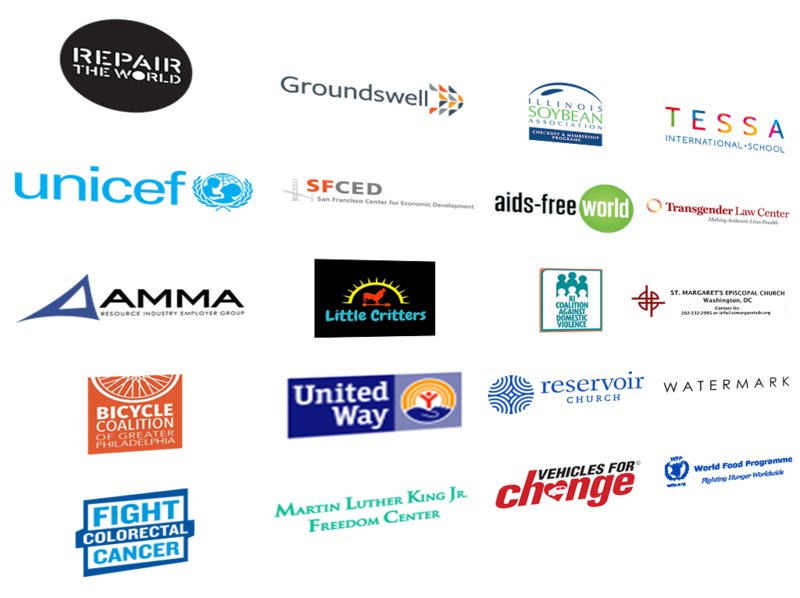 See other nonprofits who started on a trial and get your own 50% off all our pricing plans! You total plan per month to send email is only $24.99/month for Pro and $9.99/month for Basic so should work fine for your needs. Why: My SyncApps usually only takes 1500 Salesforce API calls, why has it now exceeded 15,000 API calls? What: Wondering about exceeding Salesforce API call limits while trying to sync a Salesforce Campaign to a MailChimp List/Group. How: If using multiple Sync Profiles which use the same MailChimp "Master List" then select all but 1 Sync Profile as one way sync and uncheck Sync Campaign Responses on all but 1 Sync Profile as well. A SyncApps subscriber recently raised an issue about trying to sync a Salesforce Campaign to a MailChimp List, however, the Salesforce API call limit was exceeded. With the Salesforce Campaign having roughly 300,000 email addresses, they thought it would only take 1500 API calls. However it turned out that it exceeded 15,000 API calls. “Campaign” is used differently in MailChimp and in Salesforce. In MailChimp, the term, “Campaign”, is an email while in Salesforce, “Campaign” is a defined group to which people can be added and removed based on marketing preference. Attaching email metrics the original Salesforce Campaign doesn’t make integration sense so what SyncApps does is it creates a new special tracking Salesforce Campaign that just corresponds to the recipients of the MailChimp Email Campaign. Since it is possible to create more than one MailChimp Campaign for each Segment/Group, the former was decided to be created for each MailChimp Campaign to store marketing metrics and is less confusing than the latter. Create a Campaign and/or Salesforce Marketing list in Salesforce, which then there will be corresponding “Groups” in MailChimp being created once synced via SyncApps. Then you are going to receive an email, open it, click or tap the link and check MailChimp to see if it is showing your response. Run SyncApps (Sync Now). Voila, a new “Test” Campaign was created in Salesforce in which you were expecting to see one showing you as a member with your 1 open and 1 click. Create a Salesforce Activity for each metric in an Email Campaign like open, click, link clicked, etc. Create a Salesforce Campaign and Activity for each metric in an email campaign like open, click, link clicked, etc. We sent out a blast earlier this week to 2000+ recipients but only 1649 show as updated. Curious to know why the others didn’t update. Might require a dive into the data to ensure everyone is accounted for. The 1649 figure are email addresses retrieved from campaigns you selected: ABC Services, Contact Us Form, HR Services, ABCD Services, International, Not Defined, October 2012: Webinar Invitation, ABCDE Services, My Services, September 2012 E-mail Blast. Please also note that email addresses in cleaned and unsubscribed list will not be synced in MailChimp SyncApps. Also if the 2000+ recipients reside in MailChimp then the numbers could not be compared because there might be contacts in MailChimp that are not in the selected campaigns mentioned above. 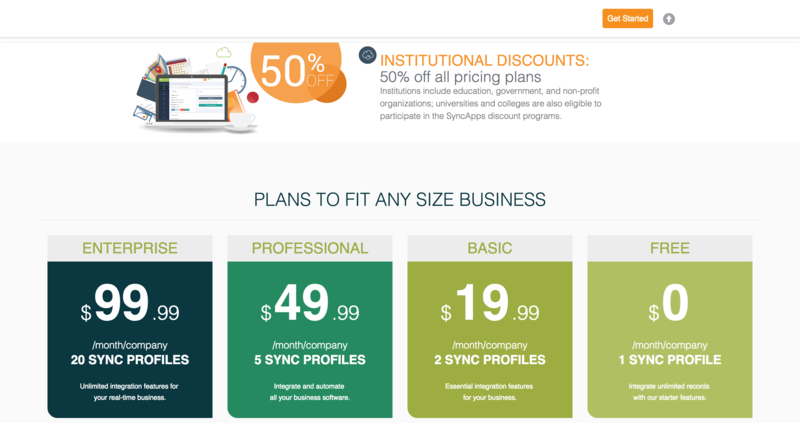 Syncing all leads instead of select campaigns solves many issues around SyncApps integration services. Under certain specific leads within Salesforce.com, I can see that several of the same (and some different) campaigns were mapped over. Any idea why? I can provide screenshots if need be. For campaign response from MailChimp, SyncApps will create a campaign in Salesforce for each MailChimp campaign. If you check out MailChimp you will see several campaigns with the same name which demonstrates this functionality. Subscriber: How does Salesforce.com report activity in terms of opens, clicks, bounces, etc.? How does the integration for Salesforce to MailChimp work? How to get started syncing MailChimp and Salesforce. Select 1 Campaign or Cazoomi Marketing List (Install needed in Salesforce) to sync over to your Email marketing platform, put a few Contacts or Leads into it, then you are all set up to tap "Sync Now". Test out new List membership feature for MailChimp Group subscribers by adding/removing from a synced Cazoomi Marketing List to a MailChimp Group. Test out our Webhooks based List membership feature for MailChimp Group subscribers by adding/removing from a synced Cazoomi Marketing List to a MailChimp Group. They are automatically managed without any Sync Profile sync running as Webhooks create your real-time integration. If you are using both Leads and Contacts be sure to have 2 Sync Profiles setup for both object types, Leads & Contacts. Syncing Accounts with email addresses on them? Use Account Object as the sync type to test the integration. In our Trials, our fully featured Enterprise plan with all the bells and whistles is used so you can see what is available and choose the plan once ready that meets your company's needs. Sync Accounts, Contacts and Leads to MailChimp Lists and Groups. Integrate List and Group membership automatically to CRM..
Sync specific Salesforce Campaigns and Campaign Responses from MailChimp to CRM. Salesforce always takes higher precedence over MailChimp. Any contact and lead changes in Salesforce will always be synced to MailChimp. Contact and lead data is synced from MailChimp only if the email address doesn't exist in Salesforce at the time of syncing.